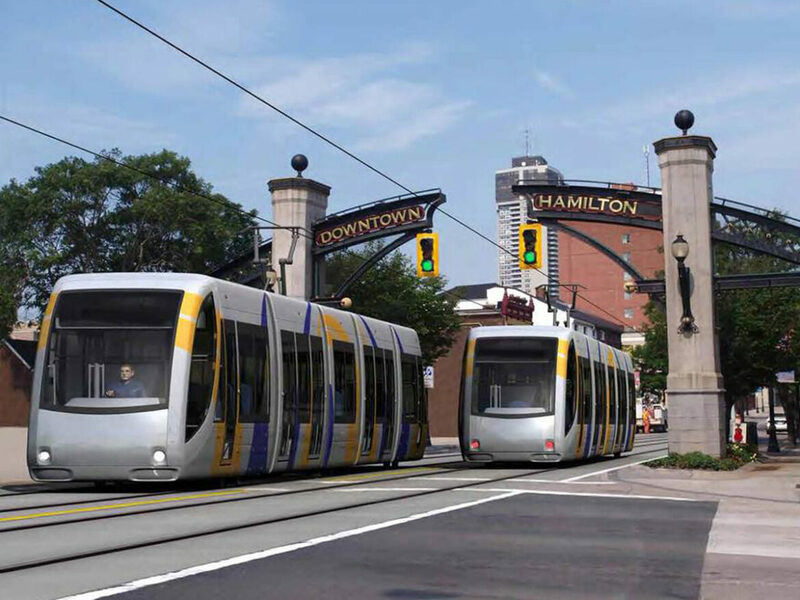 The Province will run the show for the planning and construction of Hamilton’s LRT, while “the City will have the opportunity to review and provide input and Metrolinx will use reasonable efforts to implement Hamilton’s suggestions but will have the final determination on these matters”. The Province will pay for moving underground infrastructure, but the City will pay for any improvements to the infrastructure such as replacement or widening. Metrolinx is committed to building LRT from McMaster to Queenston Traffic Circle, as well as a spur line to the James North GO Station. If funds remain after the main build, Metrolinx will consider extending to the waterfront and paying for traffic signal enhancements or road-widenings to handle diverted traffic flows due to LRT. Metrolinx will reimburse the City for the cost of the City’s LRT office support to the project. City staff are recommending that Council accept the MOA and sign the agreement.